The birthplace of songwriter Paul Dresser (1857-1906); he was Theodore Dreiser’s older brother. The house has been renovated and was moved from its original location in Terre Haute to a site in the same town on the banks of the Wabash River. Photo by Roger W. Smith. “Here is a picture of the house in Terre Haute, Indiana, where the Dreisers lived from 1872 to 1877. Its address was 203 S. 12th Street, and it was located on the southwest corner of that intersection. Some say Theodore was born here. Others say he was born at 523 S. 9th Street. Edward Dreiser was definitely born here. This house was torn down about 2011. The date of this photo is unknown.” Comment by Tamie Dehler. Photo courtesy Ms. Dehler. “This was taken just a few years before the house was torn down in 2011. I lived just a few blocks from this home from 1978 to 1989. It had these cedar shingles on it at that time and was surrounded by a pretty white picket fence. I was aware that it was a Dreiser house during most of that period when I lived nearby and I always wondered why the city did not get a historical marker erected in the yard.” Comment by Tamie Dehler. Photo courtesy Ms. Dehler. “Here is a bird’s eye view of the property, taken from a real estate site for Vigo county. This photo is, I assume, from google earth and it is dated April 2008.” Comment by Tamie Dehler. Photo courtesy of Ms. Dehler. “This is a drawing of the home made by artist Franklin Booth, date unknown. The printed caption across the bottom of this print says ‘Franklin’s impression of my birthplace.’ I believe that caption is attributed to Theodore Dreiser.” Comment by Tamie Dehler. Photo courtesy of Ms. Dehler. This entry was posted in historical, photographs and tagged シオドア・ドライサー, シオドア・ドライザー, シオドー・ドライサー, シオドー・ドライザー, セオドア・ドライサー, セオドア・ドライザー, теодор драйзер, Paul Dresser, Theodore Dreiser on March 31, 2017 by Roger W. Smith. 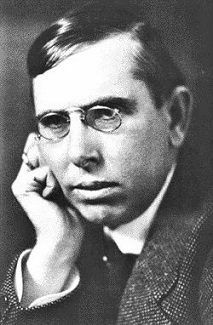 In the infamous and widely publicized “toothpick incident,” Theodore Dreiser and Marie Pergain were indicted on a charge of adultery for spending the night of Friday, November 6, 1931 together in a hotel room in Pineville, Kentucky. They had traveled to Kentucky together, Dreiser to chair hearings of the so-called Dreiser Committee into the conditions of striking mine workers. Marie Pergain, one of Dreiser’s lovers, was the “mystery woman” involved in the scandal. This entry was posted in Dreiser Committee (to aid striking coal miners) - Harlan County, Kentucky, Dreiser's lovers and mistresses, photographs and tagged シオドア・ドライサー, シオドア・ドライザー, シオドー・ドライサー, シオドー・ドライザー, セオドア・ドライサー, セオドア・ドライザー, Marie Pergain, теодор драйзер, Roger Smith, Roger W. Smith, Theodore Dreiser on March 14, 2016 by Roger W. Smith.